More than 3 million children are hospitalized annually in the U.S., and many are bed-bound or spend countless hours without being able to leave the hospital premises. Oscar was one of them. Diagnosed when he was just 4 months old with Wilms Tumor- a common form of cancer of the kidneys, he had to undergo several surgeries and spent countless hours receiving treatments without being able to leave the hospital bed. Throughout his illness, the only thing that would comfort him was the possibility of being able to play. Oscar passed-away shortly after turning 4 years old. Like Oscar, many sick children endure physical and emotional discomfort while receiving medical treatment, but their need to play and instinct to enjoy life never leaves them. 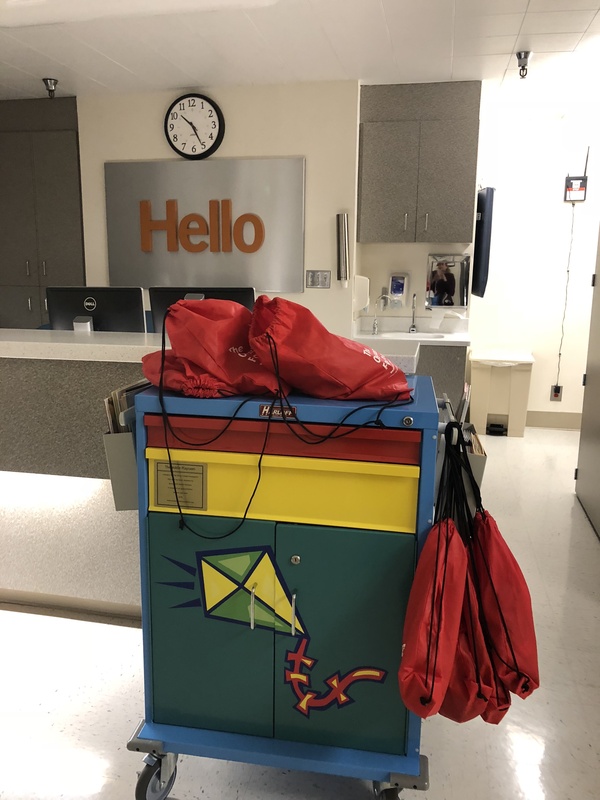 In an effort to provide hospitalized children the opportunity to experience the joy and simplicity of childhood, The Oscar Litwak Foundation has successfully created the Mobile Playroom program. 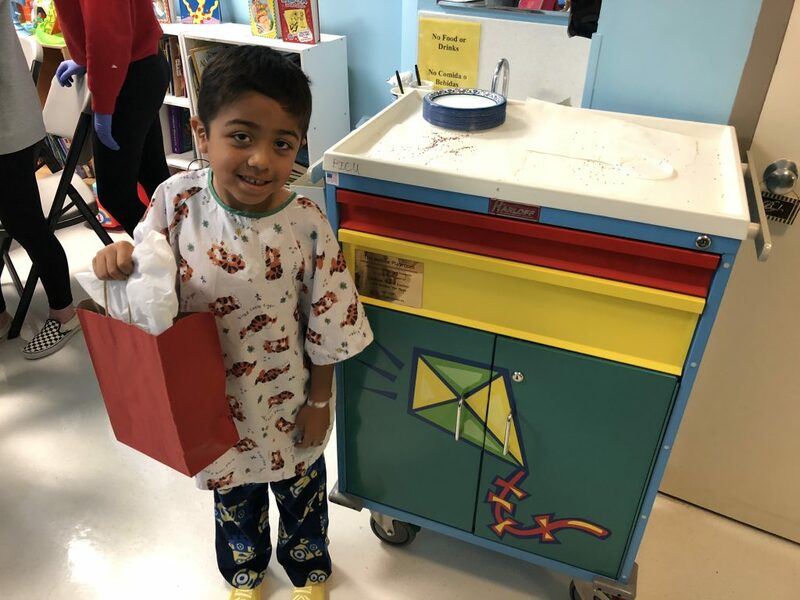 Mobile Playrooms are hospital grade carts, custom-built for the Foundation based on strict specifications which are filled with toys, books, and arts and crafts material. The Mobile Playrooms can be wheeled from one room to the next, serving a great number of patients and providing them much needed joy and entertainment. The Mobile Playroom Program is entirely funded by kind and generous contributions of people like you! Please help us reach our goal of making the Mobile Playroom accessible to every hospitalized child in the U.S. and beyond. Your support will help make this dream a reality! If you are interested in being the sponsor of a Mobile Playroom unit, please click here for more information.